National University Honours 1st year Form FillUp Notice 2018 has published on 14th May 2018. NU Honours 1st Year Exam Routine 2018 will publish very soon. Recently Honors 1st Year Exam Form Fill-up Notice for Regular academic session 2017-2018, irregular & Grade Upgradation academic session 2016-2017, 2015-2016 and 2014-2015 and ‘Promotional’ F ‘grade session 2013-2014 students have published by National University. Form fill up will be continuing from 20th May 2018 to till 27th June 2018. NU Honors 1st Year Exam Routine published will be very soon. NU Honors 1st Year Exam Form Fill-up Notice 2018 is for regular, irregular & Grade Upgradation students. 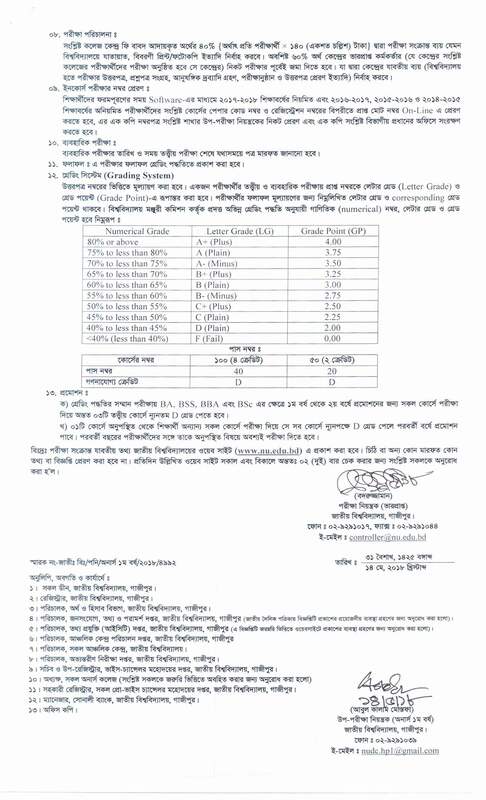 NU Honors 1st Year Exam Form Fill-up 2018 all procedure will handle by National University main campus Gazipur. National University Honours 1st year Form FillUp Notice 2018. 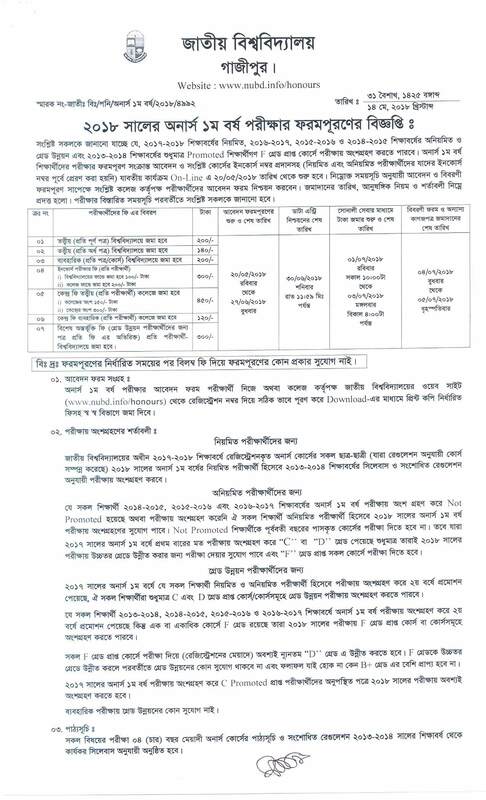 Applicants will have to apply by NU official website www.nu.edu.bd or, http://nubd.info/honours/ . National University has published Honours 1st Year Form FillUp Notice their website. National University Honours 1st Year Exam Form FillUp 2018 will start from 20th May 2018 and it will end 27th June 2018. Payment Through Sonali Bank submission deadline is on 3rd July 2018. Applicants can apply from within scheduled time. With form fill up students will found any other news about National University Honours 1st Year 2017-2018 in National University website at www.nu.edu.bd & www.nubd.info/honours Only registered students can fill up the National University Honours 1st Year Exam’s form. Exam’s result will be published by grading system (CGPA). After complete the written exam practical exam’s date & time will be informed to the students by National University & also the associated college. Students Can get all update information & notice our website jobsgroup24.com about of Nu Honours 1st Year Form fillup 2018. Students can get Honours 1st Year Exam Routine 2018 from our website easily.